Jamie Cashion (James Harold Cashion III) was born in Fort Worth, Texas on October 16, 1967. He married his high school sweetheart Summer Rich Cashion. They reside in Aledo, Texas. Jamie was promoted to 9th degree Black Belt in American Karate on April 21, 2018 in a ceremony attended by Grand Masters, Allen Steen, Pat and Anna Burleson, Jim and Carol Harrison, Fred Wren, Ed Daniels, Linda Denley, George Minshew, Chris Pfannenstiel Minshew Bob Wall, Troy Dorsey, Tony Lopez, Pat Worley, Sean Smith, Rick Arnold, Bob Thurman, Al Francis, Billy Smith, Rudy Smedley, and so many other great Black Belts who came to celebrate his well deserved promotion! Jamie Cashion is an entrepreneur and motivational speaker. He received the Presidential Sports Award in 1991 and again in 1999. He was inducted into the 2011 Masters Hall of Fame. 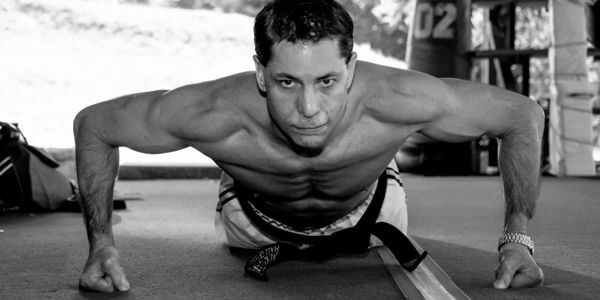 In 2013 Jamie was inducted into 3 more Halls of Fame in recognition of his skill and contributions to the martial arts, The Universal Martial Arts Hall of Fame, The U.S.A. Martial Arts Hall Of Fame, and once again in the Masters Hall of Fame for the Bushido Award alongside Eric Lee, Don Wilson, and Cynthia Rothrock. In the same year, he was also honored with two very prestigious awards; the The Golden Shuto Award by The Official Karate Magazine readers and the Martial Arts History Museum in California for the Wall of Honor. In 1986 Jamie was burned in the line of duty as a fireman, and continues to serve as a volunteer fireman with Somervell County Fire Department in Somervell County, Texas. His first event as an ambassador for the martial arts was in 2011 when he gathered over 400 black belts to a surprise event for J. Pat Burleson on his 75th birthday. In 2012 he hosted a kickboxing fund raiser (Black Belt Extravaganza) in which he climbed back into the ring to compete for the first time in 15 years. Some 500 guests attended these fights. Jamie defeated his opponent who was a black belt that weighed 60 pounds more and was 14 years younger than Jamie. This event raised all the funds needed to fly, lodge and pay for induction fees so Billy Brammer, Cliff “Magic” Thomas, Ray McCallum,Billy Smith,Rudy Smedley, Jeff Owen, and Daryl Stewart could get inducted into the Masters Hall of Fame in California. In 2013 Jamie started a Night of Tribute Dinner an annual event honoring two senior Black Belts each year. In February 2014 he held a special Masters Hall of Fame Induction event for James Toney. A major milestone occurred in 2013, when Jamie convinced J. Pat Burleson to begin the promotion on the next line of 10th degree black belts. Jamie facilitated many of these test, including George Minshew, John Worley, Pat Worley, Larry Carnahan, and Gordon Franks. This started the ball rolling on other 10th degree promotions for Richard Morris, Bob Nuttall, Jim Butin, and Fred Simon. In 2014, Jamie created a new venue for the Masters Hall of Fame in Texas and Jamie was elected V.P. of Texas. This created a tremendous opportunity for Jamie to recognize the many pioneers of the Texas Blood-and-Guts era to be inducted into a superior Hall Of Fame without the traveling expenses involved for a California induction. This was the first time The Masters Hall Of Fame held an induction ceremony out of California since its existence. Since this was also the first such event held in Fort Worth, Mayor Betsy Price of Fort Worth made a city proclamation that June 7 would be “Masters Hall Of Fame Day”. Inductees for this event include iconic martial artist like Allen Steen, Ed Daniel, David Moon, Jack Hwang, Skipper Mulllins, Steve “Nasty” Anderson, Billye Jack Jackson,Troy Dorsey, Linda Denley, John Worley, Pat Worley, Jeff Smith, Joe Corley, Keith Vitali, John Longstreet, Keith Yates, John Chung, Larry Carnahan, and many more of the Texas karate pioneers. Over 650 guest attended this sold out event and a great deal of money was raised for Jamie’s non-profit Spark Worldwide. Aside from his karate career, Jamie has owned and operated a multitude of businesses. These included karate schools, a restaurant, a paint and body shop, several insurance agencies, a bistro, and a lube center. His most successful venture was establishing a national cable construction company in 1999, which was sold in 2004 for partial retirement. Jamie Cashion currently invests in factoring small businesses in addition to funding small start up companies. He owns and operates Cashion Investments which include Cabletex Inc., Cashion Insurance Group, J&M Group LLP., and Brown & Cashion Investment Group. 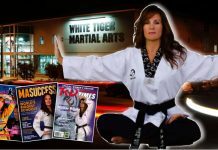 Jamie still manages the World Martial Arts Ranking Assosiaton for J. Pat Burleson and travels the US performing martial arts seminars and high ranking belt tests with J. Pat Burleson. One of Jamie’s biggest honor’s was in January 2014, when he was contacted on behalf of Chuck Norris and Gena Norris to see if he was interested in serving as the Executive Director for Kickstart Kids. The Kickstart Kids program is currently in 47 Texas schools and impacts thousand of lives each day. Jamie’s interest in martial arts started in 1977 when he joined his first karate class with Billy Smith’s American Karate in Burleson Texas. He later joined Richard Morris Karate Studios under the directive of 1st US Karate Champion J. Pat Burleson. Jamie received the senior rank of 7th degree black belt by J. Pat Burleson in May 2013. His promotion was endorsed and recommended by martial greats like Mike Stone, David Moon, Allen Steen, Ed Daniel, Ray McCallum, George Minshew, Troy Dorsey and a host of others. Jamie added kickboxing to his experience list and has continued training for the last 15 years. 1991 Received the Presidential Sports Award for Karate from President Bush. 1999 Received the Presidential Sports Award for Karate from President Clinton. 2000 received the Texas Martial Arts Award from Texas Senator Mike Moncrief. 2011 Inducted into the Masters Hall Of Fame in 2011. 2013 Inducted into the Universal Hall of Fame in 2013. 2013 Inducted into the U.S.A. Hall of Fame in 2013. Along other activities Cashion was has been engaged in many charity activities. His first fundraiser was in 1985 when he assisted in the an event for the Shrine Burn Institute that raised over $250.000. Since 1991 he has served on the Bobby Bragan Youth Foundation that awards 32 eight graders with $2500 scholarships. Other advisory members of the Bobby Bragan Youth Foundation include George W. Bush and Bobby Valentine. From 1992 to 1993 he was on the board of directors of The Y.E.S. Program of America with noted author Zig Ziglar. He chaired the entertainment committee for The Y.O. Ranch Social Club in Mt. Home Texas from 1996-2007. While chairing this committee Jamie directed headline entertainment such as Willie Nelson, George Jones, Merle Haggard, Tanya Tucker, Diamond Rio, Sawyer Brown, Lorrie Morgan, Eddy Raven, Marty Stuart and a host of others. 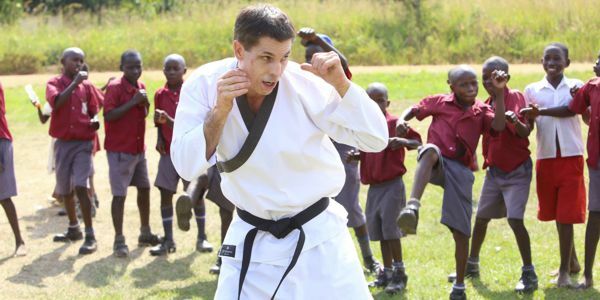 Jamie has been involved in with American Cancer Society, American Heart association, Fort Worth Stock Show Syndicate, Speedway Charities and remains very active with Big Brothers Big Sisters as well as Spark Worldwide where he travels the globe to preach, feed and teach karate to orphans. 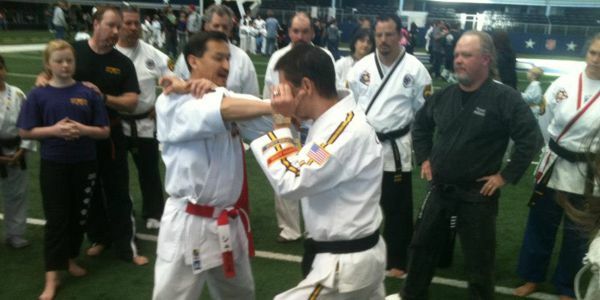 Jamie Cashion started teaching martial arts in 1989 and he has not stopped. The lessons he teaches are for youth and adults alike and are free. He co-owned and operated two Richard Norris Karate Studios from 1994-1997. 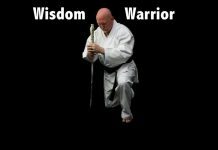 You can still find Jamie teaching at the Hilltop Family Church in Springtown Texas as well as Open Door Church in Burleson, Texas, which are in the Christian Soldier’s Karate program, where Jamie is the senior ranking black belt under J. Pat Burleson. 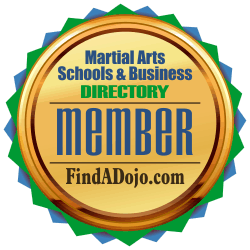 Christian Soldiers Karate on the Martial Arts Schools and Businesses Directory. 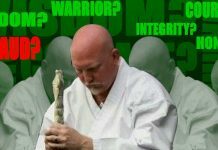 To contact Christian Soldiers Karate visit their listing on the Martial Arts Schools and Businesses Directory by clicking on the image on the left.